August was “Women in Translation” month, so, naturally, I took advantage of this as a reason to buy some more books. 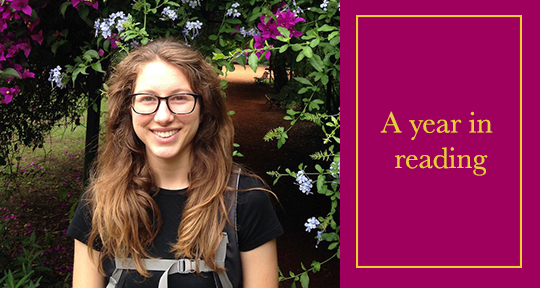 Blog Copy Editor Andrea Blatz’s 2018 reading list was packed with nineteenth-century science fiction and women in translation. In today’s post, she discusses the common themes that unite many of these books, among them the experience of trauma and the role of space and place in our lives, before looking ahead to her reading list for the new year! Like most book lovers, I buy more books than I have time to read, so my “To Read” list is usually longer than my “Already Read” list. Having so many books to choose from for my next read means I usually pick something completely different than the book I’ve just read. However, this year, it seems as though spaces have been a prominent theme in much of what I’ve read. Our weekly roundup of literary news brings us to Hong Kong, Poland, and Spain. 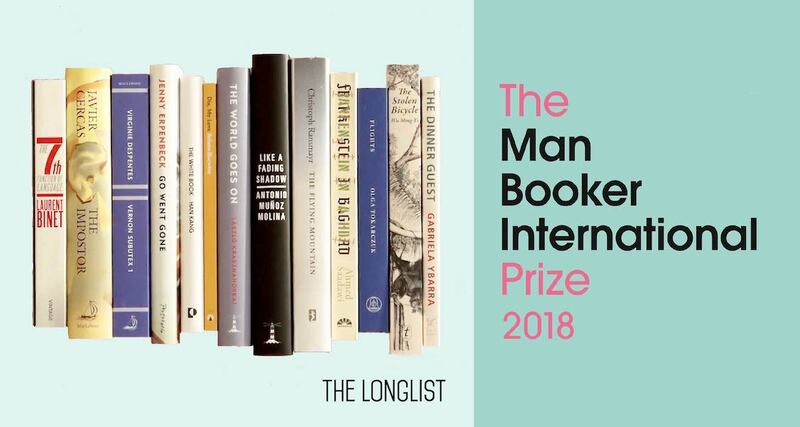 Another week has flown by and we’re back again with the most exciting news in world literature! This time our editors focus on Hong Kong, Poland, and Spain. This year’s Hong Kong Muse Fest ran from June 23 to July 8. Themed “Museum Is Typing . . .”, the event presented an array of exhibitions and activities that took place across public museums in Hong Kong. It aimed to explore Hong Kong’s cultural heritage, history, arts and science, providing a variety of new and interactive experience to reshape the audience’s conception of the museum. Besides museum exhibitions, the programmes also included literary elements, such as the special programme, “Human Library” (part of “Sparkle! Counting the Days”), which invited members of different communities to share their life stories with readers. In the “Crossing Border” Special Talk Series, “Extraordinary Intrinsic Quality of Grandmasters—Bruce Lee vs Jin Yong”, speakers shared their views on the achievements of Chinese martial arts actor, Bruce Lee, and martial arts fiction writer, Jin Yong. I shall have to overcome the vanity, the applause, my own self, and measure up to life—measure up to death. Much of the prose in Asymptote‘s Spring 2018 fiction section (especially Jon Fosse’s Scenes from a Childhood) includes keenly observed sketches from childhood. This Tuesday, we bring you a piece from Poland that continues that theme. 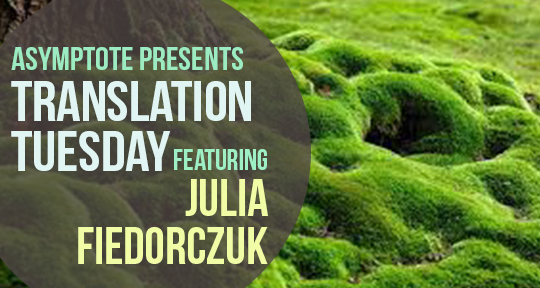 In Julia Fiedorczuk’s ‘Moss’, the narrator’s recollections of her grandmother are a powerful evocation of a child’s experience through the grown-up’s consciousness. And fair warning: you’re probably gonna shed a tear or two when you get to the last line. But I’m still a child, then, who doesn’t know how to read yet. I’m five, maybe six years old, in a purple flannel dress with little green roses. That child’s thin legs are sticking out from under the dress. Scratched and bruised like seventy sorrows. I’m sitting on a high stool in front of a mirror, legs dangling in mid-air. She’s standing behind me. Brushing my hair. I have long hair, the colour of ripe corn. Fine hair; it won’t survive adolescence: it’ll have to be cut when I hit fifteen. 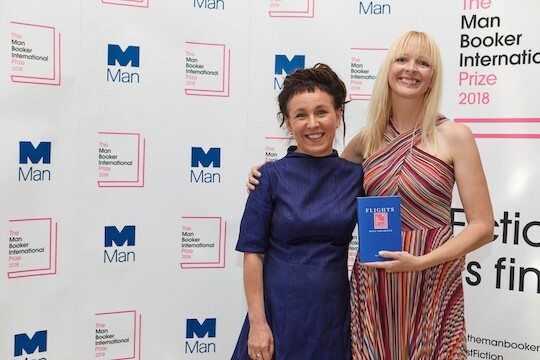 On May 22, Olga Tokarczuk won the Man Booker International Prize for her book Flights (which first appeared in English in our Winter 2016 issue), translated into English by Jennifer Croft for Fitzcarraldo Editions. Tokarczuk is already a household figure in her native Poland where Flights was first published in 2007. Two of her other novels have been translated by Antonia Lloyd-Jones, but it is only now with Flights that she is becoming a recognizable name for the English-speaking public. 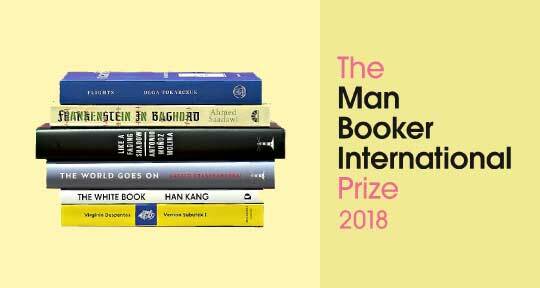 While the red Man Booker logo, signifying its triumph, will help it fly off the shelves in bookstores all over the United Kingdom, booksellers still face a tough challenge, for how do you summarize and sell a book like Flights? Celebrate our 7th anniversary with this new issue, gathering never-before-published work from 30 countries! In “Aeschylus, the Lost,” Albania’s Ismail Kadare imagines a “murky light” filtering through oiled window paper in the ancient workroom of the father of Greek tragedy. A conversation with acclaimed translator Daniel Mendelsohn reveals the “Homeric funneling” behind his latest memoir. 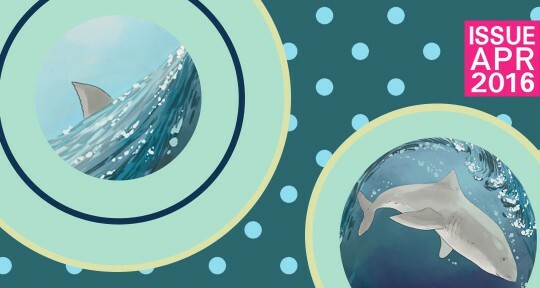 Polish author Marta Zelwan headlines our Microfiction Special Feature, where meaning gleams through the veil of allegory. 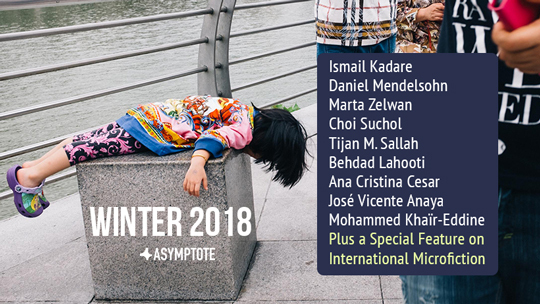 Light glows ever brighter in poet Mohammed Khaïr-Eddine’s “syntactically frenetic” “Arachnid Sun”; and in Erika Kobayashi’s fiction, nuclear devastation blazes from Hiroshima to Fukushima. 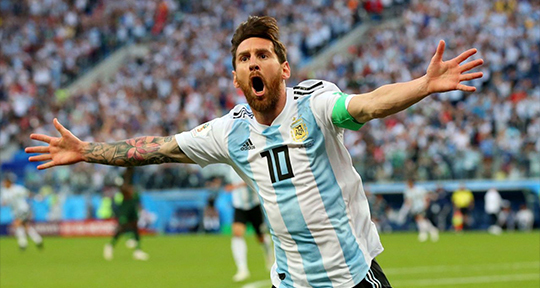 The light around us is sometimes blinding, sometimes dim, “like a dream glimpsed through a glass that’s too thick,” as Argentine writer Roberto Arlt puts it, channeling Paul to the Corinthians in The Manufacturer of Ghosts. Something dreamlike indeed shines in César Moro’s Equestrian Turtle, where “the dawn emerges from your lips,” and, as if in echo, Mexican writer Hubert Matiúwàa prophecies for his people’s children “a house made of dawn.” With Matiúwàa’s Mè’phàà and our first works from Amharic and Montenegrin, we’ve now published translations from exactly 100 languages! 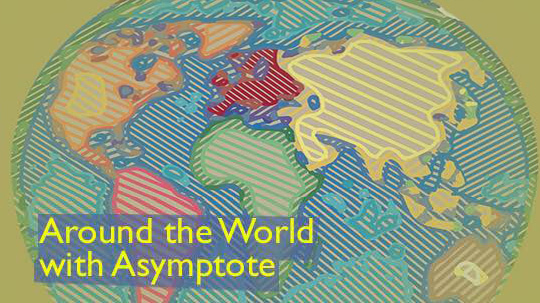 We hope you enjoy reading this milestone issue as much as everyone at Asymptote enjoyed putting it together. 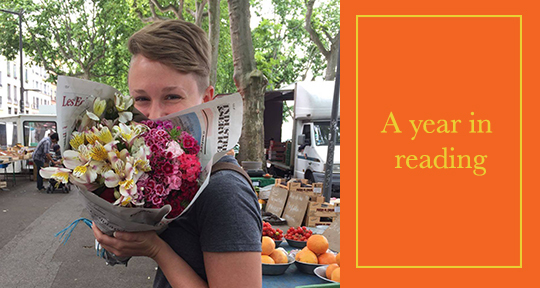 If you want to see us carry on for years to come, consider becoming a masthead member or a sustaining member today. Spread the word far and wide! Somebody said that the healthiest ones die most easily. 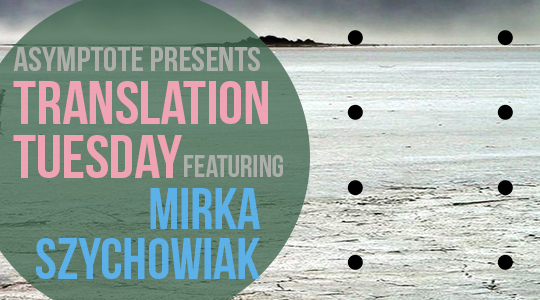 Today’s Translation Tuesday comes from the Polish writer Mirka Szychowiak. 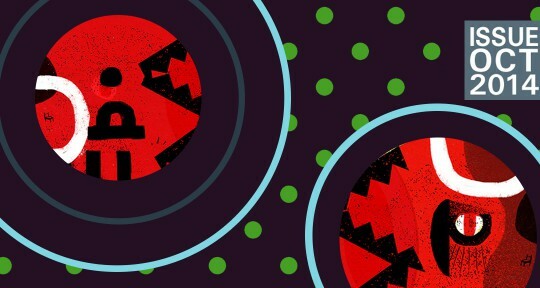 “I’m Scared of Those Dots” is a haunting ellipsis of a story, concealing just as much as it reveals. I came earlier today, let’s spend as much time together as we can, let’s enjoy each other’s company, stock up on it. As usual, we won’t be able to answer the same questions, but they will be asked nonetheless. Zbyszek, who pushed you out of that dirty train? Your bloody blonde mop on the tracks, it still hurts. Who did it to us? How are you, Basia, do tell. What’s up? You were the fastest among us, made us so proud. Somebody said that the healthiest ones die most easily. You didn’t want to be an exception, did you? You passed away at a faster pace than when you broke the 100-metre record. Rysiu, your last letter made us angry. You better all come, you wrote. Your life with us was filled with laughter, but you were alone when you shot yourself for some strange girl. We were furious, but almost all of us did come. Almost, because Bolek had left by then, as was his custom, quietly. He fell over and that was it. Two hours after his death, he became a father. Both prematurely. Youth gave us no guarantees, we understood it early on and only Adam didn’t get it in time—it was the youth, which tore his heart apart, like a bullet. It was so literal it stripped him of all romanticism. It poured out of him, ripped him inside and that was it. Later it was Bożenka and Janusz. The two of them and the carbon monoxide from the stove. A potted fern—a nameday present—withered and then somebody called to say that there were less of us yet again.